WASHINGTON—Admitting he felt “scared and nervous” after the deadliest mass shooting in U.S. history at an Orlando, FL nightclub, NRA executive vice president Wayne LaPierre reportedly rushed out of his home early Monday to buy a congressman. 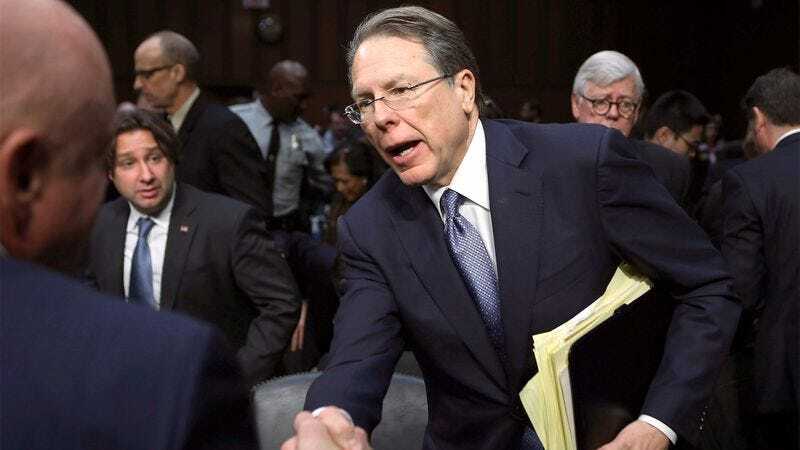 “When I saw what happened in Orlando, I wanted to make sure that I was able to properly defend myself,” LaPierre told reporters after driving to the nearest congressional office to buy the most reliable and powerful legislator he could find. “I already have some others, but I figured getting one more couldn’t hurt, especially after something like this. It gives me peace of mind knowing that if I ever feel threatened or come under attack, I can always use my senators or representatives to fight back.” LaPierre added that he is simply glad to live in a country where he can freely and legally own as many elected officials as he wants in order to protect what he values most.